I’m excited to hear this working with a Intel SSD. My understanding was this would not work with without a Dell SSD drive. Ive got a 1g h700 that im eager to try this out. 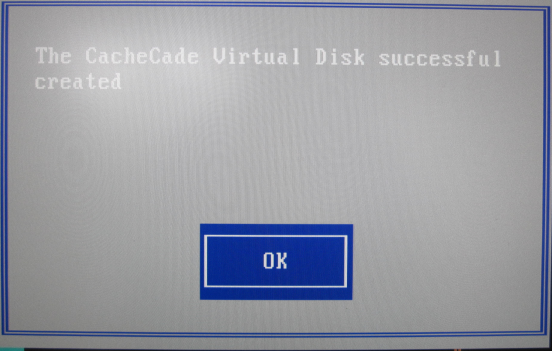 Hi, looking forward to seeing your test results for performance in vmware ESXi 5.0 Any updates? 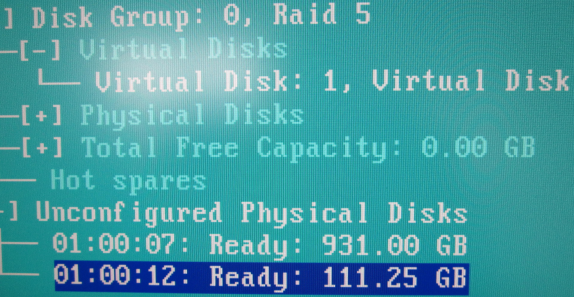 I’ve installed a Intel 330, 120GB on my Dell R515. So far I haven’t run any benchmark to test but it looks alright. How are you finding the speed to far? Any improvement? Could you tell me was this a R510-8 or 12 bay chassis you carried out this upgrade on? I’m trying to clarify if my R510-8 bay has the ability to take the internal drive chassis or if this is limited to the 12 bay chassis only? 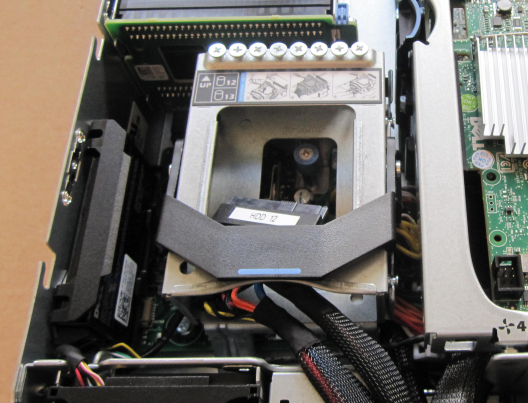 It was on a 12-Bay and I don’t beleive that the 8-bay has the internal 2.5″ drive bays. But I am absolutley not sure of that – I just had a thought that I didn’t remember seeing the bay on the 8-bay I saw recently. 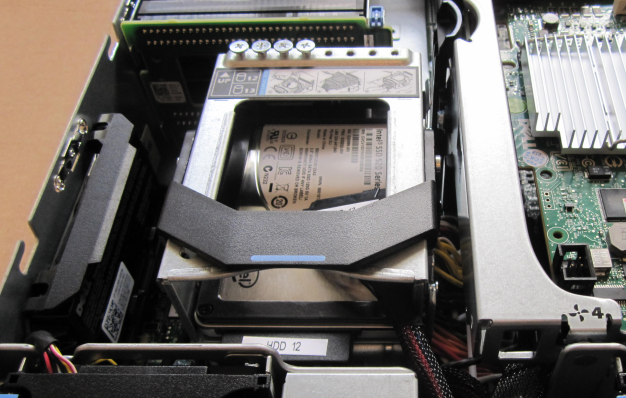 Although you can put the SSD in the front bays in a SATA caddy, which I have done since and it worked fine. I am looking at implementing this on my R710 (2.5″ format) which has open bays at the front under the DVD. I found an open Sata port, SATA-B but not a power port yet. 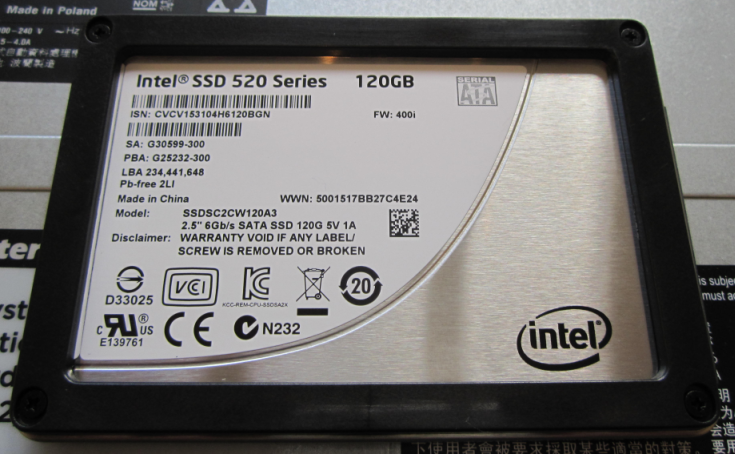 My question is whether the SSD has to be on the Perc or is it able to be seen/used on the SATA port? 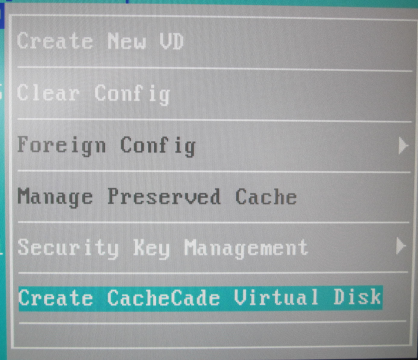 So, any update on doing this… we have a number of R710’s with the 512m controller.. will they support this now? The H710 supports this with the 512m vram. In the end I was wondering what advantage these offered… if I could buy some 1g vram controllers on ebay to replace the 512’s. Any list of SSD’s that are supported? Best way to cable them up? any more info would be wanted. This blog said they were going to collect some data but It doesn’t look like they did.